New footage has emerged from Conor McGregor’s bus attack, showing the extent of fellow fighter Michael Chiesa’s injuries. 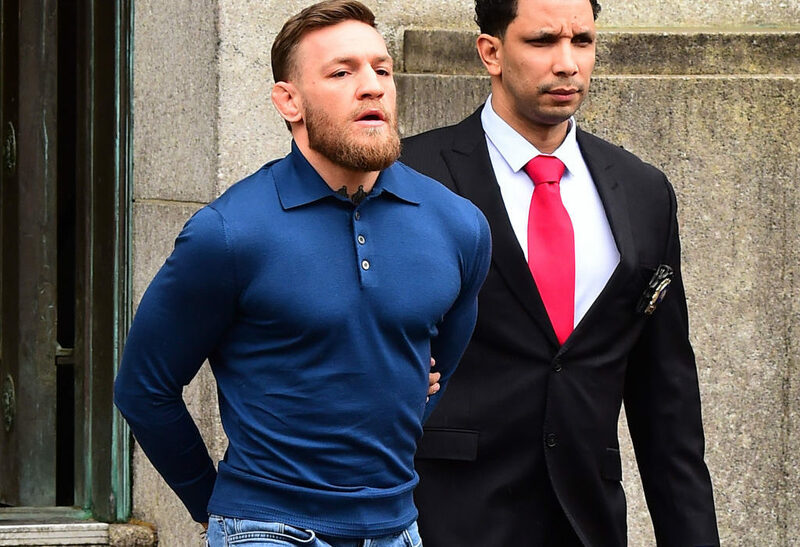 McGregor has been charged with three counts of assault and one count of felony criminal mischief by the New York Police Department after handing himself in following the incident at the UFC 223 media day on Thursday April 5. 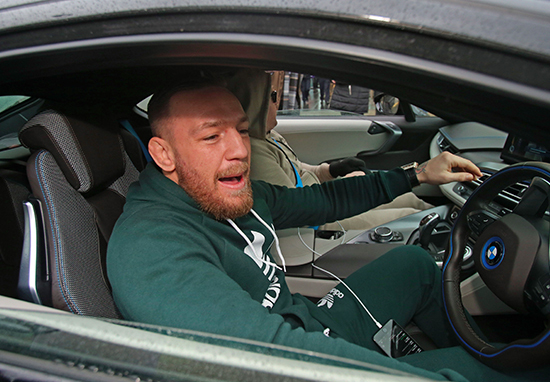 Allegedly crashing the Barclays Centre with an entourage of 30 men, the Irishman was arrested on suspicion of attacking UFC fighter Khabib Nurmagomedov’s bus, leaving lightweight fighter Chiesa injured. Being released on $50,000 bail, McGregor has been ordered to return to New York on June 14 for his next court hearing. Despite having no previous criminal record, the appropriately named ‘The Notorious’ could face serious jail time with assault charges holding a maximum sentence of a year with the felony charge reaching seven years. The Irishman will also have to pay for damages incurred during the attack which led to several fights being cancelled. Ray Borg v Brandon Moreno, Alex Caceres v Artem Lobov and Chiesa v Anthony Pettis were all called off following the incident. As reported by respected MMA journalist Ariel Helwani, on the night, Chiesa suffered a cut to his face as McGregor launched a wheeled trolley at the bus which several fighters were still in. I’m told chairs were thrown through the van window and one passenger on the van was injured. Dana White is on his way back to the arena. Most of the fighters are still in the arena but some were able to leave. According to multiple sources Michael Chiesa suffered a laceration in the fracas. I’m told Chiesa’s cut is on his face. He’s being attended to at the arena. Unclear at this time how serious his injury is. I’ve seen video shot by fighters in the van. Footage has now emerged online as episode five of the UFC’s ‘Vlog Series‘ focuses on the UFC 223 event, showing the disgraceful incident. In the vlog, you can see the reaction of the fighters on the bus as McGregor allegedly goes on his rampage. The extent of Chiesa’s injuries are also shown before he’s taken to hospital. Although McGregor’s motives are currently unknown, the attack follows an altercation earlier last week, between Nurmagomedov and Artem Lobov, McGregor’s training partner. Lobov has also been removed from this weekend’s competition as it was revealed he was involved in the rampage. The Notorious issued a warning early Thursday morning, April 5, following UFC President Dana White’s announcement how the winner of the Nurmagomedov v Max Holloway fight would win the UFC 155lb belt, stripping the Irishman of his title. You’s’ll strip me of nothing you’s do nothing c*nts. White has since publicly criticised McGregor for his ‘disgusting’ behaviour leaving us uncertain what his future with the UFC will be. There’s a warrant out for Conor McGregor’s arrest. They’re looking for him right now. His plane can’t take off. He can’t leave the state of New York. He’ll be grounded. I’m assuming, eventually, if they don’t catch him, he’ll hand himself in. You can imagine he’s going to be sued beyond belief. This was a real bad career move for him. I think everybody is going to be pretty disgusted. Listen, if you don’t like Khabib then fight him. You can do it legally. This fight is happening Saturday we could have done it. You could have done it within the rules of fighting. But you want to grab 30 friends and come down here and do what you did today. It’s disgusting. I don’t know if he’s on drugs or whatever his deal is. This is a guy who just had a baby. Do you think McGregor should be given jail time for his attack? What do you think the results of the next hearing will be?